Singer/songwriter Kiernan McMullan will perform at free concert Wednesday, March 9, in the Wyoming Union Gardens. Known for a variety of sounds, singer/songwriter Kiernan McMullan will perform a free concert at 8 p.m. Wednesday, March 9, in the University of Wyoming Union Gardens. 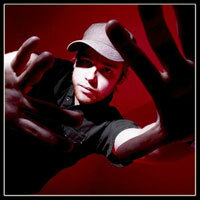 McMullan's sound spans from acoustic, jazz and rock all the way to hip-hop, electro and funk. After finishing secondary school in 2005, McMullan began courses in sound, stage and lighting. During that time he began working on his first unofficial album, which he wrote and produced himself. McMullan spent his free time on the road performing shows. To learn more information about the concert and other events or for students with disabilities needing accommodations, contact the Campus Activities Center at (307) 766-6340 or e-mail sac@uwyo.edu.